For people who are blacklisted, trying to apply for car finance and personal loans through ABSA, Nedbank, FNB or Standard Bank is a somewhat painful and usually disappointing task. If you have a bad credit record, these major South African banks have very strict rules when it comes to lending money. And are not in a position to just approve anybody’s application to borrow cash as and when they please. Even if you are someone who has been through financial difficulty and now find yourself in a much stronger position to pay back any borrowed money. If you have been previously “black marked” for defaulting on any monthly payments or contract agreements regarding personal finance or car loans. Your chances of any new applications being approved by the bank are slim to zero. However, it is not all doom and gloom for people with a bad credit record looking to borrow money from a lender. Besides the major banks such as ABSA, Nedbank, FNB and Standard Bank there are a deal of smaller lending companies. Some of which are prepared and able to approve finance for qualifying people even if blacklisted. Approval may very much depend on just how bad a persons credit record is. As well as what financial position he or she has been in for a fixed period. And how that financial position, if good, is expected to remain over the coming months and years. If you are looking for motor vehicle finance with a bad credit history. Or you need a personal loan for whatever reason. Then the only solution really is to go ahead and submit an application with an alternative lending company to the SA banks. Debt consolidation loans are sometimes approved to people considered a “bad risk” to lend to but here again. There will be certain criteria an applicant will have to provide. People with fixed assets such as property are in a much stronger position to borrow money from a lending company. It is a frustrating situation for those who have ended up “black-marked” through no fault of their own. And have maybe been made redundant or retrenched and therefore failed to make payments as part of a contract. Although one also needs to understand that the banks in South Africa would end up bankrupt if they had to approve most applications and simply hand out fast cash. Approving all black listed applicants that felt the need to get car finance and personal loans. The bottom line if you are desperate to borrow from a lender is to play open cards completely with them. NEVER try to hide previous judgements or any kind of bad credit you may have to your name. They will be sure to do a complete and thorough check on your financial history. Online banking with Standard Bank South Africa is one of the easiest ways to keep control of your finances this year. Internet payments and electronic transactions reduce your time at the bank. And the time you have to spend wondering if your payments have gone through to those important clients or accounts. You can do your banking step by step, set up debit orders and keep track of all of your accounts by simply taking the time to register, logon and starting up. Don’t waste any more time standing in queues or drawing expensive bank guaranteed cheques. Do your banking online and take charge of your finances. For your personal banking, online banking with Standard Bank South Africa has a number of benefits. Firstly, it is cheaper than transferring money at the branch itself. Secondly, it is drastically faster and more efficient. You can save beneficiaries so that you can simply select the person you need and transferred the required funds across without worrying. Electronic transactions are normally instant if you making a payment to a person banking with the same bank as you, and only take around 3 working days for people at other banks. This means you can make your Internet payments in advance and rest easy that your rent will be paid. And that there is sufficient money in your bank to keep you going. For business purposes Standard Bank offers you options. You can ensure that all your business payments are made by setting up beneficiaries. In addition, you can monitor the state of your account whilst talking to a client on the phone. So that you can be aware of your financial situation at all times. So whether you use your bank for personal or business use it is time to move into the next phase of banking with online banking with Standard Bank South Africa. The options for blacklisted people needing car finance are limited, but they do exist. A bad credit record not only affects your current state of financial affairs, but also your potential to get secured loans and borrow money. 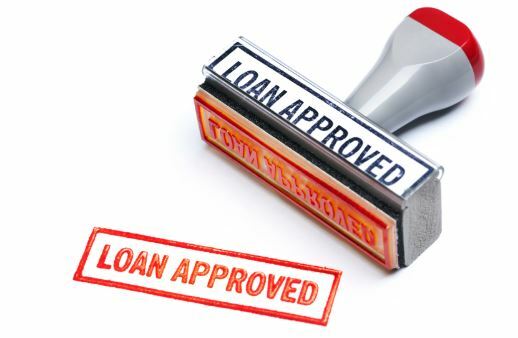 Most lending companies see blacklisted people as high risk candidates and thus the interest rates that these people get when taking a loan is very high. It can become a vicious cycle where money is borrowed to pay off other debts. Leaving the person in more debt than ever before. Buying a car is expensive, particularly if you want a new car. It should not be out of your means to purchase the one that you want. There are ways for you to get car finance, so read on. If you want more information on options for blacklisted people needing car finance, because you are blacklisted or have a bad credit record. Then why not consider a debt consolidation loan? This allows you to borrow money from your bank or lending companies that will cover all of your outstanding debt. These are secured loans with lower interest rates than those offered on normal finance and they reduce the amount of stress associated with your debt. By having your entire debt amount in one source you can take control over that debt. Monthly repayments mean that you will be able to manage the amount, and it will improve your credit history by showing that you have paid the other amounts. If you are interested, speak to your bank or lending institution today and start to take control of your debt. Although it may be more difficult for you to get car finance. Taking out a debt consolidation loan is an indicator to your bank that you are being more responsible about your finances. This will increase the chances that you will be considered for finance. So take charge of your life today and find out more about options for blacklisted people needing car finance. There are those that simply need to lower vehicle payments which can be done by means of a refinance car loan. ABSA, Nedbank FNB and Standard Bank are all financial providers that can help with loans and borrowing. But if you’re blacklisted, you are going to be limited for choices.